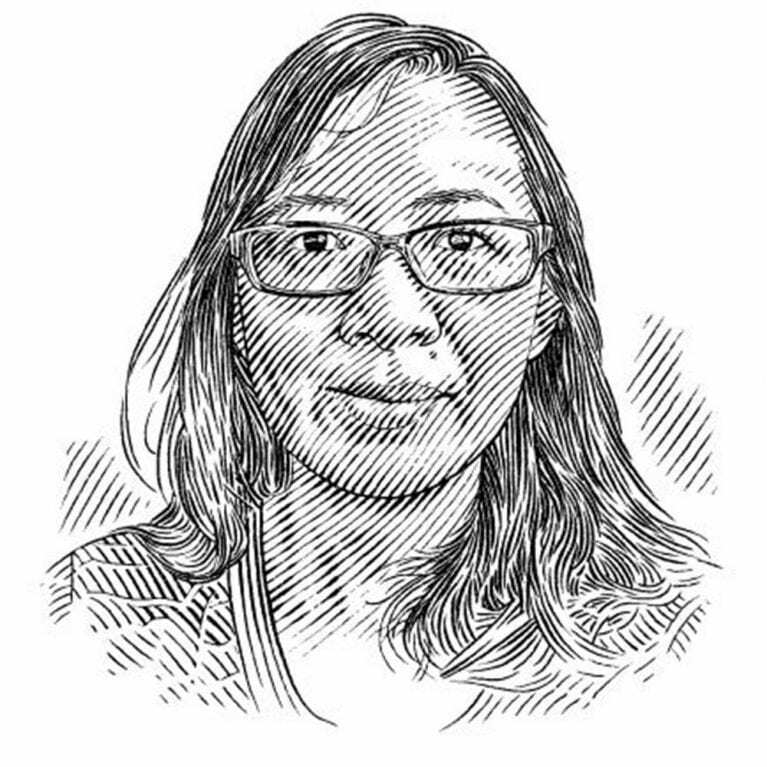 In Sabah, Malaysia access to the ocean is easy for researchers – and fishers. The area is also home to at least 95 species of sharks and rays. Mabel will visit local fish markets to discover important information about these animals and how they are being exploited. To assess the changes in abundance in elasmobranch landings in Sabah, compared with those documented nearly 20 years ago, and to inform and build momentum to foster a practical and effective elasmobranch conservation and management policy for the State of Sabah in particular, and for Malaysia in general. Two previous major surveys of the elasmobranchs of Sabah have greatly improved the knowledge of the composition and distribution of these fishes. However, implementation of conservation and management strategies (Fowler et al., 2002; DOFM, 2006) has been protracted. 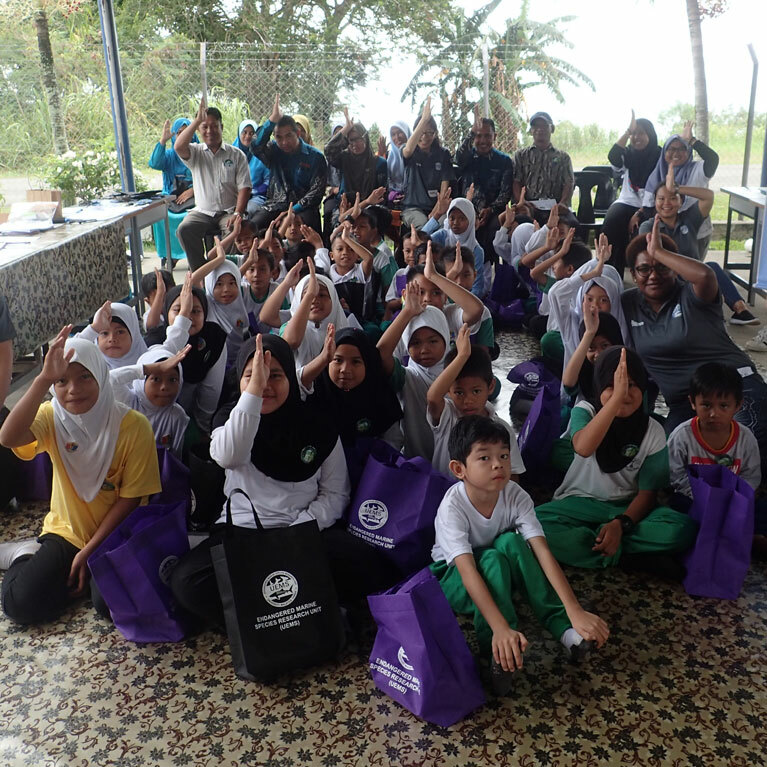 This project is proposed as a follow-up survey to foster Sabah’s elasmobranch conservation efforts. Sharks are apex predators of the marine ecosystem, and overexploiting them will change the marine biodiversity (Griffin et al., 2008). 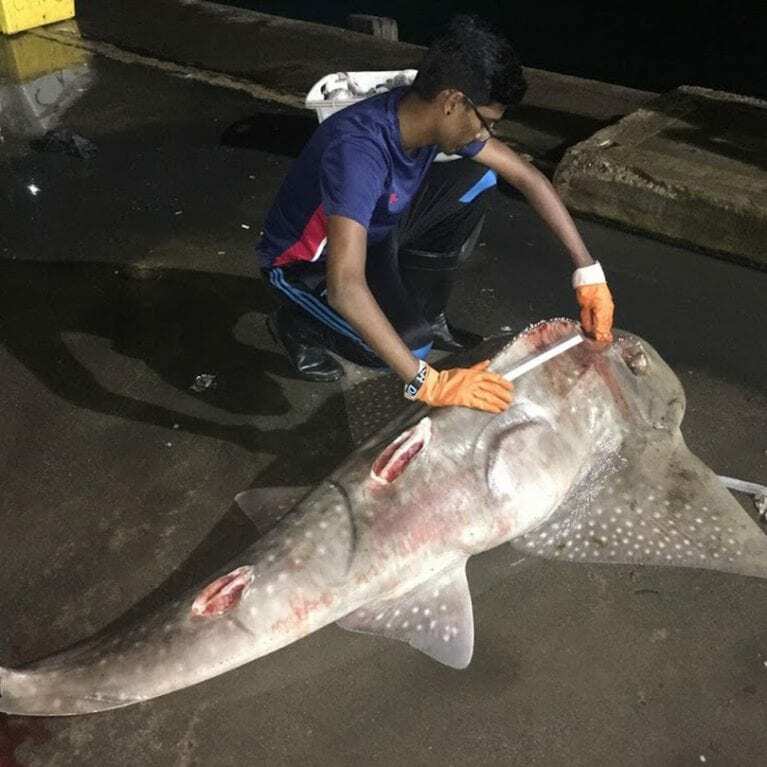 In Sabah, two primary threats affecting the elasmobranch population are overfishing and habitat destruction due to land-based anthropogenic factors. Sabah has a confirmed record list of 95 species of elasmobranchs. Of these, about 70% (66 species) are evaluated as threatened in the IUCN Red List, while the remainder are either LC, DD or NE. Eight are species listed in the Appendices of CITES and/or CMS, and 7 species on the RFMO prohibited species lists (Annex 6). Malaysia’s trade data currently does not differentiate any elasmobranch species. The Deputy Director General (Operations) of the Department of Fisheries Malaysia (DOFM) recently, in a letter to the editor of the Star newspaper in response to an article entitled: ‘WWF: Save the sharks now’, reiterated that there is no targeted shark fishery in the country (Derahman, 2013). Nevertheless, the DOFM (2006) recognizes the importance in the conservation and management of elasmobranchs, as it acknowledges their capacity to recover from overfishing is limited due to their biological characteristics. However, although several fishing regulations to manage these resources have been approved, only two have been gazetted; these are the Fisheries (Control of Endangered Species of Fish) Regulations 1999, and Fisheries (Control of Endangered Species of Fish) (Amendment) Regulations 2008, promulgated under the Fisheries Act 1985. Implementing and enforcing these laws remain a challenge for the authorities (e.g. see Borneo Post online, 2014). More than two thirds of the 95 species of elasmobranchs in Sabah are threatened. Yet, of the remaining third, only 8 species are of least concern, while 21 are either not evaluated or data deficient. The main reason that the 21 species have such status is because of the current knowledge gap of these species, which are either naturally rare in the wild, or that they caught in fisheries but do not constitute the target fishery, and hence are likely to end up as ‘trash fish’, or already dead and discarded back into the sea. 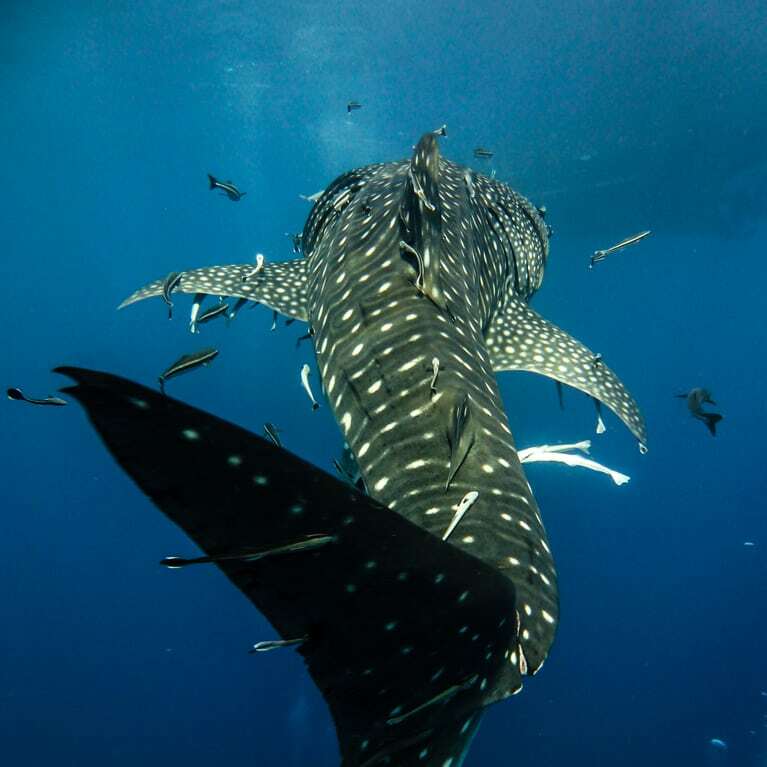 Malaysia has initiated steps to manage its elasmobranch resources, focusing on charismatic and iconic species (DOFM, 2006), which includes the whale shark, and all species of sawfishes. These are listed as endangered in the Fisheries (Control of Endangered Species of Fish) Regulations 1999, and Fisheries (Control of Endangered Species of Fish) (Amendment) Regulations 2008, respectively. It is noted however, that 7 sawfish species were erroneously listed, and based on current scientific knowledge, only five sawfish species are valid (Harrison & Dulvy, 2014). Of the five species, only three species i.e. Anoxypristis cuspidata, Pristis pristis and P. zijsron have been recorded from Sabah (Last et al., 2010). Under these laws, a person is prohibited to fish, disturb, harass, catch, kill, possess, sell, buy, export or transport the species without written permission from the Director General of Fisheries Malaysia. A few additional elasmobranch species have been listed for protection under two other new legislations. The first is the Marine Recreational Fishing Regulations, promulgated under the Fisheries Act 1985; and the second is the Sabah Inland Fisheries and Aquaculture Enactment 2003. However, both legislations have yet to be gazetted (DOFM, 2006; SLA, 2010). For the education component, in addition to running educational programs and generating awareness on the importance of elasmobranch conservation, we also realize the importance of working towards empowering communities in scientific data gathering and monitoring. For example, a recent seminar and workshop participated by several coastal fishing communities from Kota Belud district in the west coast of Sabah was held in conjunction with the State and national level celebration of the World Ocean Day and Coral Triangle Day on 26 June 2014 (BMRI, 2014; CTI, 2014). The workshop which was modelled after ‘Citizen Science’ – broadly defined as the involvement of volunteers in science (Roy et.al., 2012) – was also the first time such a workshop was organized, was well-received, with the general feedback that they (communities) are willing to do more to help. Thus, it is equally important in getting communities involved in controlling IUU (Illegal, Unreported and Unregulated) fishing. To conduct a repeat market survey of elasmobranch biodiversity, and to record the body size and abundance of elasmobranch species that were surveyed in the mid 1990s. This will then be compared with similar baseline data from almost two decades ago. To develop practical conservation and management strategies for sustainable elasmobranch stocks in Sabah. To disseminate the project and research findings to the community (from the general public, divers and fishers, to the decision-makers at the State and Federal levels). To fill-in the current knowledge gaps in taxonomy, biology and ecology of elasmobranchs. To continue with the elasmobranch tagging and monitoring in Sabah, which started in 2015.